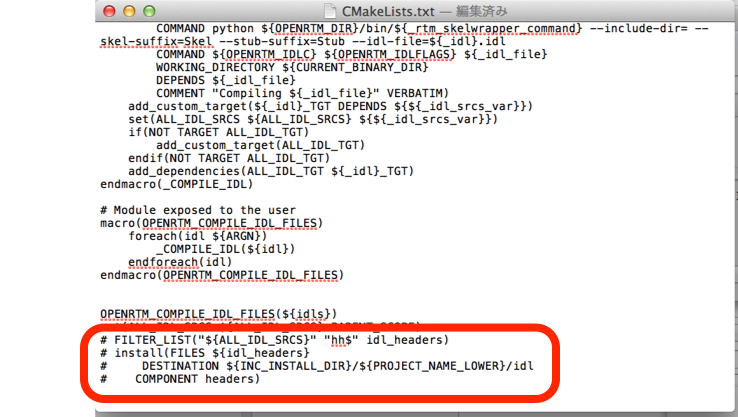 Suppose you want to use your original data-type or struct. 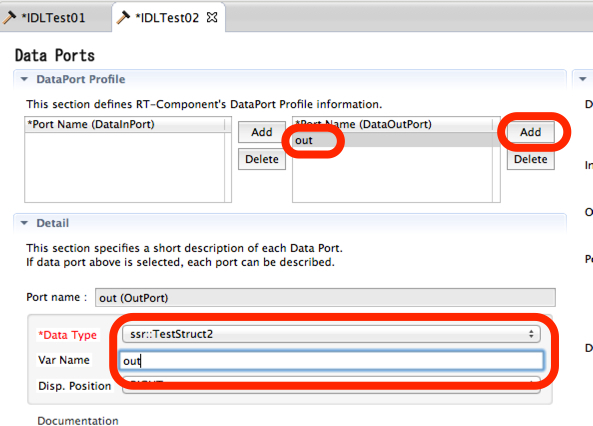 In such cases, you will describe IDL file to define your data type and load your IDL file in your RTC builder. The most important work is to search for a similar data types. 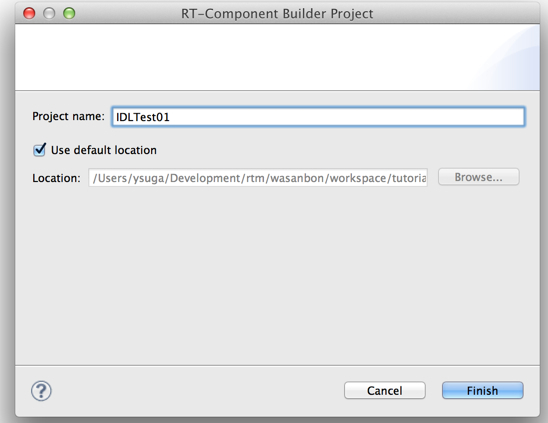 >> Look the drop-down menu in the data types of RTC builder editor. 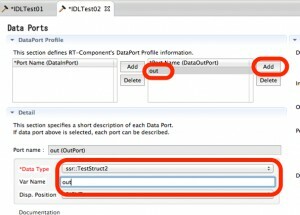 >> Search for the other RT-component similar to yours. 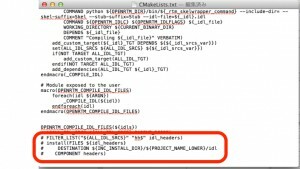 Description rules of IDL file is a bit complicated to explain in this website. See CORBA books or some other documentation around IDL file. 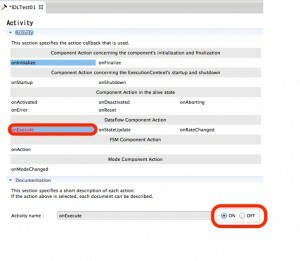 Open Eclipse and open property dialog. 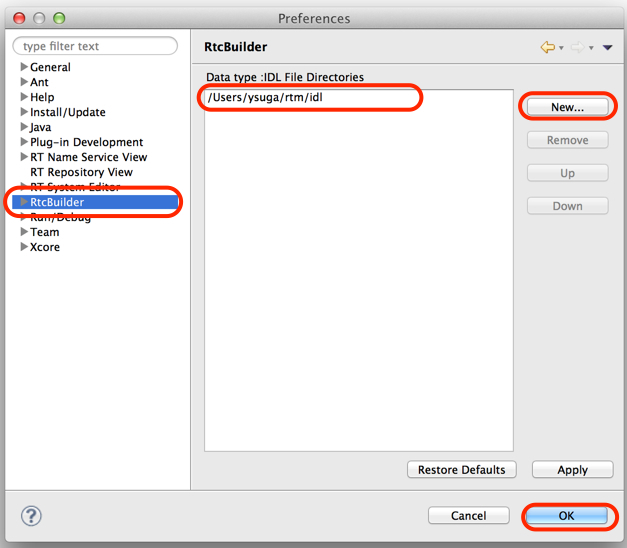 In OSX, Eclipse > Preference. 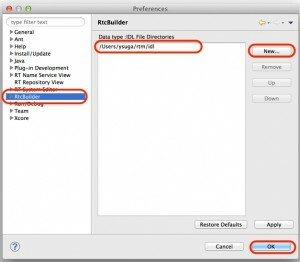 Select the folder that includes your IDL file. 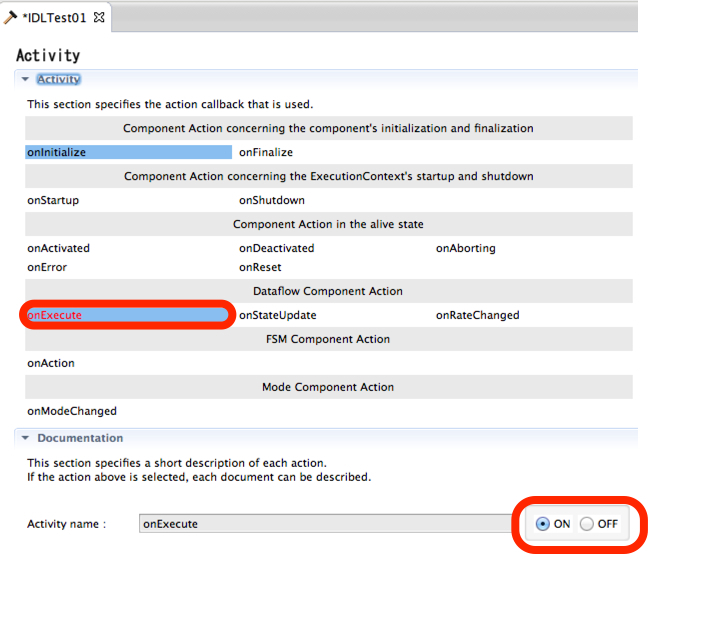 You can build the skeleton code in the ordinary process. Comment out the last 4 lines. They contains errors. Please enjoy your RTC development. 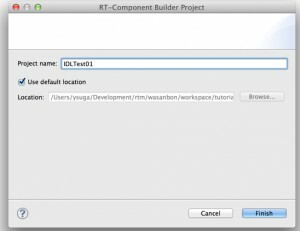 This entry was posted in rtc_development and tagged IDL, OpenRTM-aist, Original Datatype, robot, RT-middleware on Thursday July 11th, 2013 by admin.